When I first started on Twitter, I would randomly post and share, get some engagement and I thought I was likely getting a lot of website traffic from it. Nope. When I actually looked at my analytics, I found that I actually wasn’t getting very much traffic and I didn’t have a clear goal for using Twitter. Fast forward to recently, when I really started being more intentional on Twitter and actually learning more about the platform, and my results have been much greater. Creating and following a strategy will definitely help grow your Twitter account and help use it more effectively. Here are some tips to creating an effective Twitter strategy. When you’re first getting started on Twitter, or you’re trying to up your Twitter game, set yourself up for success by having a plan and starting with the basics. Set a clear goal about why you want to use Twitter. Are you using it to provide your customers with faster customer service? Are you using it to interact with influencers? Or maybe you are simply using Twitter as a news source, to watch what competitors and industry leaders are talking about. Whatever your ultimate goal is, make sure it aligns with your business brand and overall goal for the business. Understanding who you are speaking to on Twitter will ultimately help you share better content, write content specifically for that audience and will improve your engagement. Your audience on Twitter will likely be slightly different than any other social media platform. For example, on Facebook my audience is mostly small businesses, whereas Twitter is more social media and marketing people. This is important to understand because I share content in a different way and use each platform in a different way. To dive in deeper into what content is popular is to use your Twitter analytics to see what Tweets got the best engagement, and check Google Analytics to see what type of content is getting the most traffic, read time and lowest bounce rate. Twitter is such a fast-paced social media platform so, in order for your Tweets to be seen, you need to post every day. There are tools that will help to be consistent and my favourites are Buffer, Hiplay and Quuu. These three tools will make your life so much easier, help you share content consistently, and drive more traffic to your website. Twitter is my second best traffic driver from social media. 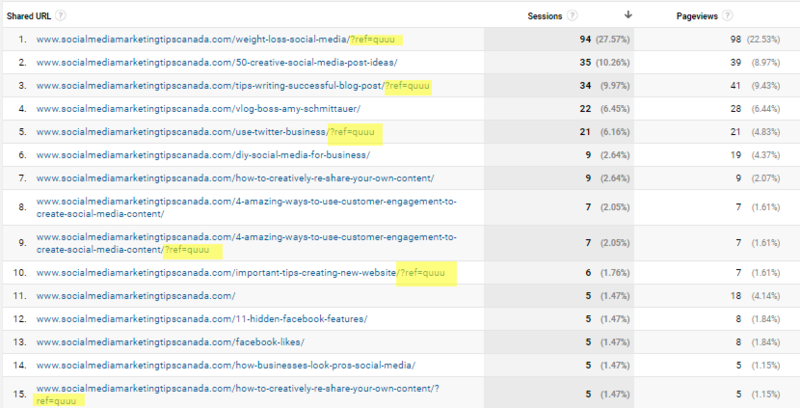 You’ll notice on my own Google Analytics account that many of my top blog traffic from Twitter comes from Quuu. In addition to more website traffic by being consistent, you will notice that your Twitter audience will grow. I don’t have a huge following on Twitter, but all my followers have been organic and have been growing faster once I started posting consistently. You also want to be consistent about engaging with your audience on Twitter and building up your community. Take time each day to reply to comments and answer questions. One great way to reply to comments is by sending a quick video reply, or thank people for sharing your content with a video thanks. Once you are clear on your goal for Twitter and are posting consistently, you want to start to grow your audience. One great way to grow your audience on Twitter and reach new people is to participate in Twitter chats. Madalyn Sklar who is a social media influencer specifically for Twitter, says one of the best ways to grow your community on Twitter is participating in Twitter chats. 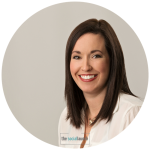 She is the host of the #TwitterSmarter chat where anyone can follow the #TwitterSmarter hashtag and join in the conversation. I have participated in several Twitter chats and not only are they are a great way of getting tips and learning more about a specific topic, but you get to know the other participants, find new cool accounts to follow and get new followers too. Now that you have your overall strategy and goals and have everything organized and consistent, make sure to keep track of your numbers so you can understand what’s working and what needs to be revised. If you find that you aren’t getting much engagement, take a look at the type of content you’re sharing on Twitter. If you are only sharing links, consider adding images or short videos. You could test out live video and see if you got more of a response. Or, you could start asking more questions, running polls, etc. There are always ways to improve, and by tracking and measuring your results you will be able to revise and improve your results quicker and grow your account and community. Do you currently use a strategy to grow your Twitter account? Share some of your best tips with us below! Leslie shares weekly tips and tutorials on her blog, YouTube channel and podcast called The Social Launch. And she drinks way too much coffee.